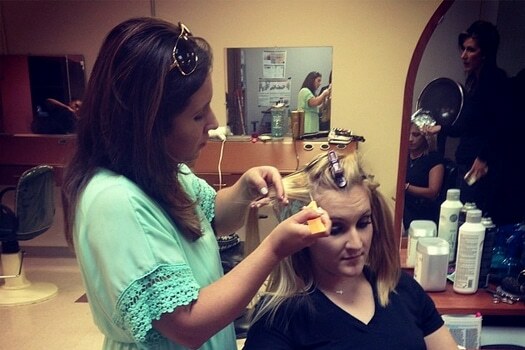 After graduating from Paul Mitchell Cosmetology School in 2008, Sarah started her career in the salon industry by working at Studio Urbane, a well-known salon in Baton Rouge, Louisiana. 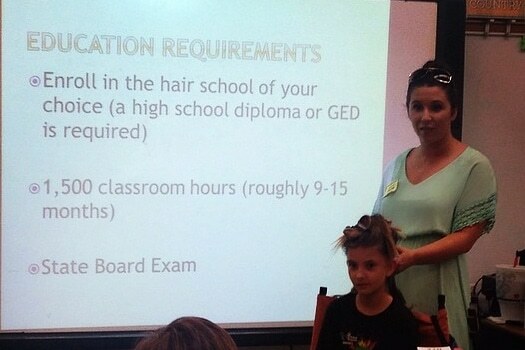 While there, she personally assisted Cynthia Roy, an elite Paul Mitchell educator. The following year, Sarah moved to Washington DC. 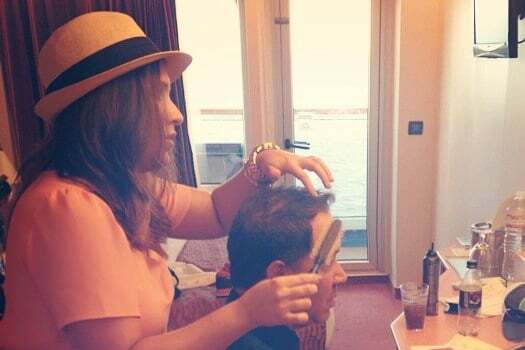 She accepted a front office position at a local salon, where she managed the scheduling for a staff of 26 stylists. At the end of the summer in DC, she moved back to Baton Rouge. At this point in her life, she went to work for Salon Boheme in Baton Rouge. There she was looking to find another apprenticeship to gain more skills, before her awaited final move to Atlanta. The owner Trini Roher informed her there was not a hair position open at the time. However, an instant connection was established; therefore, Trini created a new position for her. This position involved becoming an assistant for the Nail Technician, Amy. Although Sarah never wanted to do nails, she loved Trini and Salon Boheme, so she would do just about anything to work there. There she enjoyed learning manicures, pedicures, and paraffin treatments. Sarahs next life move took her to Atlanta. 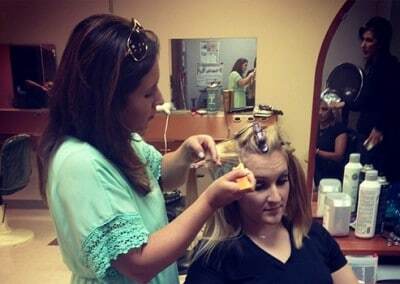 She went to work for a well-known salon in the Vinings area, Radius Salon. This is where she first was introduced to the Kérestase and Bumble & Bumble product lines. She joined the salon team in order to start the apprenticeship program and learn from the coloring specialist owner, Susan, and eventually settle into being a stylist there. Two years later while lying on the beach in Florida for July 4th, Sarah felt like something was not right. After working at all of these different salons, she started to see what worked and what was not working, and what she did and did not like about each experience. She felt as though a combination of ethics, products, marketing, branding, and techniques from all of the different salons should be combined into one to make a perfect salon for her needs. When she has an idea, she runs with it, and two short weeks later on July 22, 2011, The Salon Elegance opened its doors. Sarah broke off on her own to take everything she had learned, and to experiment with original ideas. With a natural teaching ability and a strong foundation in product knowledge and chemistry, Sarah loves educating her clients on the best products, in order to get their hair to be the best that it can be. To Sarah, integrity of the hair is the most important thing when coloring, cutting, or even styling a client’s hair. Her appointments always include a thorough consultation in the suites relaxed one-on-one atmosphere. She will explain to you the process she uses and why, which provides the clients the ability to know exactly what you are getting and feel confident that your hair is in caring hands. With a passion for delivering a shiny, healthy natural looking color, Sarah delivers the best color for the client’s desired maintenance, skin tone, and hair texture. Sarah loves blonde highlighting and cutting longer hair styles. With her own hair being naturally curly she also knows how to work well with curl. Her talent in education, and passion for the product line she uses, has gained her the distinctive honor of being a Keune Certified Colorist. This was an opportunity that she graciously accepted and trained for in Philadelphia. 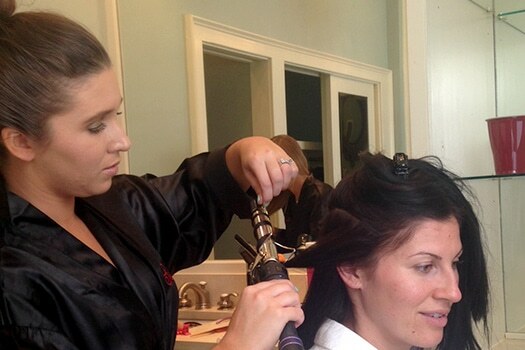 It allowed her to bring back to The Salon Elegance, critical insight of proper product use at the highest caliber. In addition Sarah has implemented an apprenticeship program that allows her to educate an individual wanting to receive a cosmetology license. The program takes 2065 hours of training per student, one at a time. 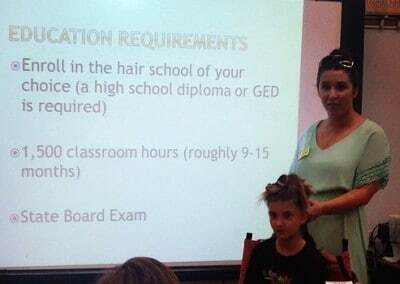 Like traditionally Cosmetology school, the student has to take the Georgia State Board test before becoming licensed. This is just one more way Sarah enjoys spreading her knowledge and experience. Although she loves to educate others, she still enjoys and believes firmly in continued education. She has attended Premiere in Birmingham four times, Paul Mitchell Caper, Razor Cutting by Nick Arrojo, ColorProof Envoy Training, Keratin Complex Certification, Peter Coppola Training, Wahl Clipper Classes, Evalash Eyelash Certification, ColorProof Artistic Specialist Training, and many Schwartzkopf seminars just to name a few. 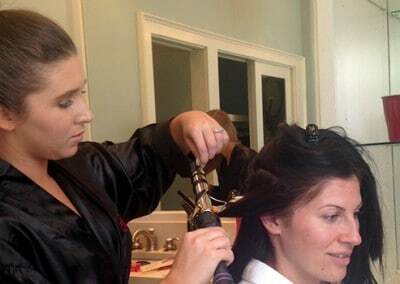 She has had the fortune to meet and take lessons from several elite celebrity stylist and hair icons including John Paul Dejoria, Winn Claybaugh, Phillp Wilson, Thomas Cousins, Peter Coppola, Angus Mitchell, Sam Villa, Micheal O’Rourke, Michael Bearde, Stephanie Kocielski, and Robert Cromeans.